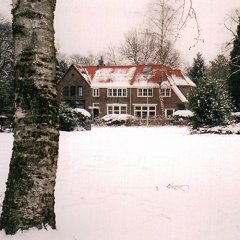 “Op de Berg” is the perfect place for people who want to stay in Wageningen for several days or weeks, as well as for several month. It is well used by visiting lecturers and researchers for Wageningen University and Research Centre (WUR). “Op de Berg” is also the perfect starting point for people who like walking and cycling in the scenic areas of Wageningen and surroundings. Many walking and cycling paths lead over the “Wageningse Berg”. 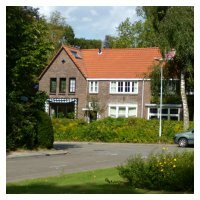 Especially worth mentioning are the tree collections of the nearby arboretum “Belmonte”, and the arboretum “De Dreijen”. Also worthwhile are the river forelands of the river Rhine, the forested areas “Oostereng”, the country estate “Oranje Nassau’s Oord”, the “Wageningse Eng” and, of course, the Wageningse Berg itself with the hotel-restaurant of the same name. All to be found within a span of 500 m. Wageningen City centre is to be found within a distance of 1,5 km.